People don’t pay as much attention to adverts as we used to. It’s a simple fact. We use catch up television to fast forward through advertisement breaks, we use ad-blockers to automatically skip the ads shown at the beginning of YouTube videos, and most people have grown so accustomed to the traditional positioning of ads on web pages that we don’t even see them anymore. Far from accepting defeat, the marketing world has listened to the discontent from target audiences and has started creating content that is interesting, useful, and unique. That is what we call content marketing. It is by no means a new practice, as it could be argued that it has been around as long as marketing itself, but has gained traction in the past few years as a strong, viable marketing option. Whether it’s the creation of blogs, articles, infographics, videos, or podcasts, content marketing is a great way to get your message across to your target audience. Also, statistically, social media posts that include some form of rich media are 600 times more likely to receive engagement than text posts. Building on the above, the core idea of content marketing is to create good-quality content that will interest your audience, and then share it. And then, you monitor the results. Create Content – As above, this is the most important step in the process. Before you can start Content Marketing, it is important to be aware of what kind of content your target audience is likely to react well to. Share Content – Get your content out there in front of your audience. There are several channels for you to push your content from including content sharing sites such as YouTube, Instagram, Blogger, and SoundCloud. Once you’ve shared your content through a content-sharing site, you can start integrating it into your website and social media posts. User Sees Content – Whether through a content-sharing site, your website, or your social media profiles, a user will see your content. What happens next is entirely down to the quality of your content. User Shares Content – If the user sees your content and likes it, they might share it. This is one of the two desired reactions from any marketing campaign. More Users See Content – If one user shares your content, it will be broadcast to a much larger potential audience of users. This can become a continuous cycle of users seeing and sharing content with each other (some of our content still receives shares months after we release it). Users Visit Your Website (And Hopefully Convert) – It has been said that most conversions received from content marketing tend to happen some time after the initial engagement. Users engage with your content, go away, and forget about it. Then, when they come to thinking about your service or product, they immediately consider your company as an option. Whether consciously or subconsciously, users that have reacted well to content produced by a brand are more likely to use that brand in the future. Create More Content – Not every piece of content you create will guarantee you a mad increase in sales. Like all marketing techniques, it can take time to build a strong, effective campaign. Review the reaction to your last piece of content, and adjust your campaign accordingly, before starting all over again. The short answer is yes, you should definitely be using Content Marketing as part of your marketing strategy. As we’ve mentioned above, most consumers don’t react as well with traditional forms of advertising anymore, so your strategy should be growing to adapt to these changes. We’re not suggesting you should replace your entire marketing plan with content sharing, but it should definitely be something you consider running alongside the rest of your campaigns. 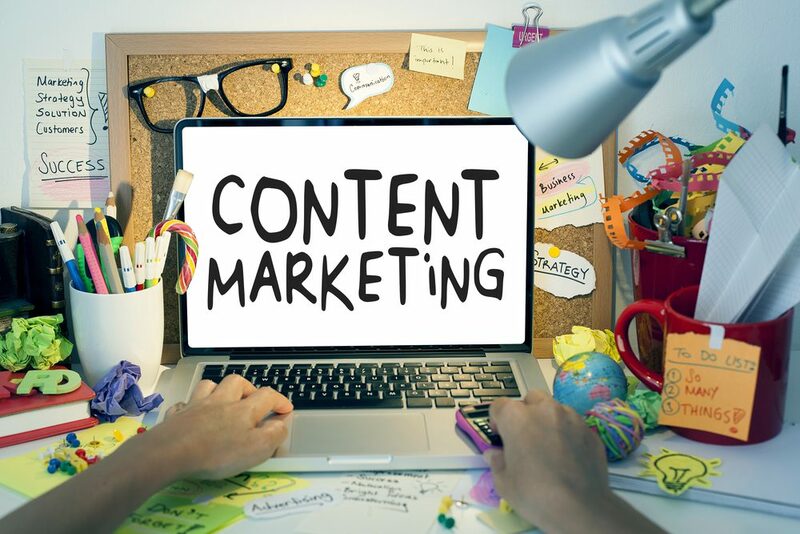 Build Customer Relationships – The core principle of Content Marketing is to evoke emotion from your customers, and build a stronger connection with them. This leads to more loyal customers. Become A Source Of Information – Produce enough good quality content, and users will start to see you (and your company) as a source of knowledge, encouraging them to share even more frequently. Give Your SEO A Boost – Well optimised content that is shared frequently can have a massively positive impact on your SEO, leading to further conversions through organic search results. Shareability – Did we already mention that content-based posts receive up to 600 times more engagement than regular posts? It Takes Time & Effort – Whilst relatively cost-effective, there are hidden costs involved in Content Marketing, in the time and effort your marketing team must put in. Content needs to be created and supported with a sound digital marketing plan. It Requires Proper Planning – As much as we wish it were true, you can’t just create any old piece of content, share it, and expect results. You need to carefully consider your target audience, your message, and your plan for sharing the content. Difficult To Track Conversions – That’s a slight understatement, as it is actually impossible to track some conversions from Content Marketing. If a customer sees your content, then goes away and searches for your brand name on a search engine, how could you possibly know? Conversions Can Be Delayed – We touched on this above, but if you’re looking for immediate conversions that can be tracked instantly, Content Marketing isn’t the one for you. In order for it to work effectively, you need to take a more leisurely approach to the campaign, allowing your customers to convert at a rate that suits them. Get in touch with us for any advice on your SEO or content marketing strategy.